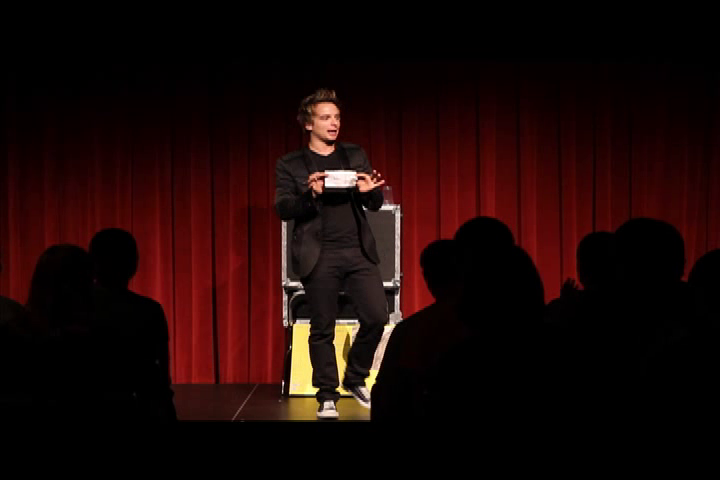 On Wednesday, September 26, illusionist Leon Etienne came to Emerson College to perform for LiveSmart week, hosted by Emerson Mane Events. Etienne was named the 2011 Campus Entertainer of the Year by Superior Programming Magazine. He has also received an award for Stage Manipulation at the Magicians’ Alliance of Eastern States 2002 Convention. He is a three-time winner of the Magician of the Year award by the International Brotherhood of Magicians. Meyer can be reached at malcolm_meyer@emerson.edu.